- The Jaguars are a pitiful 4-6-2 against the spread, but a more respectable 5-7-0 in hitting the over on the year. - Tennessee is a middling 6-6-0 against the spread and a slightly worse 5-7-0 in hitting the over through 12 games this season. - Jacksonville comes into this game fresh off a shutout win over the Colts, while the Titans beat the Jets to halt a two-game losing streak. - The Titans hold a 28-20-0 series lead over the Jaguars all-time with Jacksonville losing five of the last seven meetings between the two teams. All Jaguars-Titans prop bets and odds are available here via FanDuel Sportsbook. - Tennessee Titans Win by 1 to 13 Points (+140) – The Titans have been too inconsistent on offense this season and only two of their six wins have come by two or more scores. Jacksonville comes into this game with the fifth-ranked scoring defense in the league, so expect this one to be a close defensive slugfest to the very end. 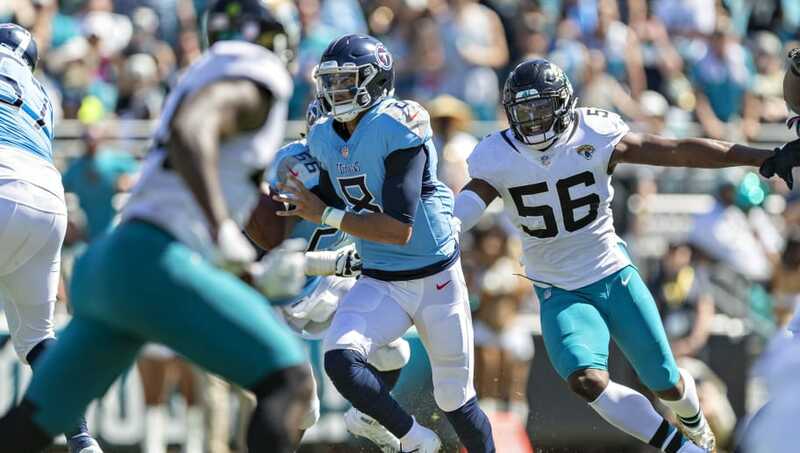 - Jacksonville Jaguars Win by 1 to 13 Points (+230) – If last week's 6-0 win over the Indianapolis Colts is any indication (mustered 211 yards of total offense), quarterback Cody Kessler isn't capable of running the Jaguars' offense to full effect. If Jacksonville is going to win this one, it'll take an incredible defensive effort and it's highly unlikely it'll be by more than two scores. The Jaguars are coming off a dominant defensive performance against the Colts while the Titans needed to stage a comeback win to beat the Jets. The Titans have more to play for while the Jags are trying to finish their disappointing season on a high note. This should be a close game, but it seems the Titans have an advantage playing at home, where they're 4-1 this year.